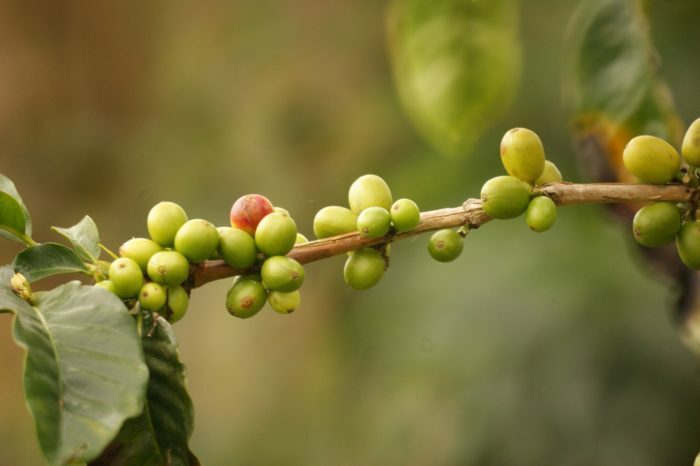 Experiencing the coffee culture in a local coffee farm is something unforgettable. The landscape, the coffee scent and the kindness of the farmers will enchant you. Medellin and Antioquia are one of the top 3 regions to visit in Colombia. 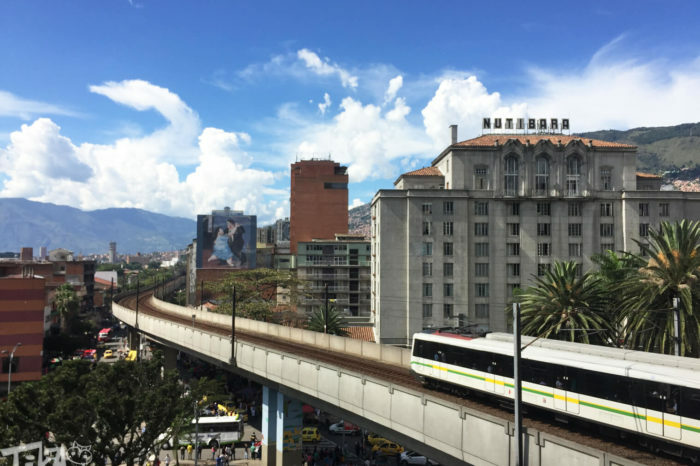 A day trip to Medellin will take you to this modern and exciting city. A week in Antioquia will open your eyes on incredible and extensive valleys where coffee and banana plantations are the norm. 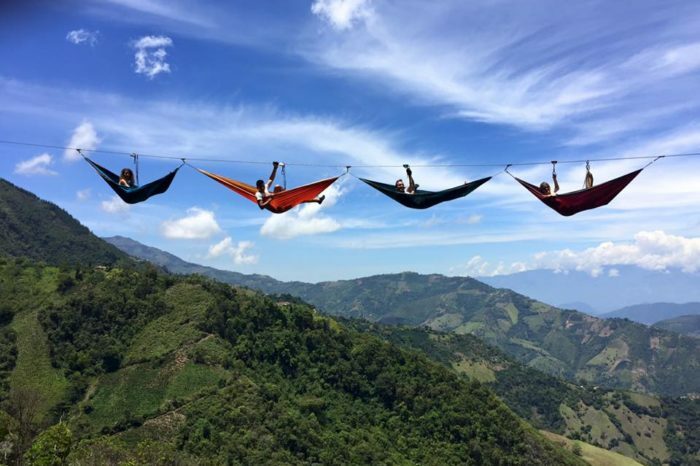 Let be overwhelmed by nature in Colombia. Medellin, the capital of Antioquia, is the second largest city in Colombia. It is a dynamic, modern, welcoming and innovative city. Its pleasant climate gives the city the nickname of “Ciudad de la Eterna Primavera” (the city of the eternal spring). In 2013, Medellin was awarded as the most innovative city worldwide and competed with around 200 cities. Medellin used to be a no-go city for foreigners in the 90’s. Fortunately, times have changed and the city is at peace. Today, Medellin is a city that welcomes all visitors. There are many things to do in Medellin. Walking by the “Centro” (downtown) it’s an interesting and enriching experience. We recommend a few places such as Plaza Botero, the Museo de Antioquia, the Palacio Nacional, the Basilica Nuestra Señora de la Candelaria and the Parque Berrio. 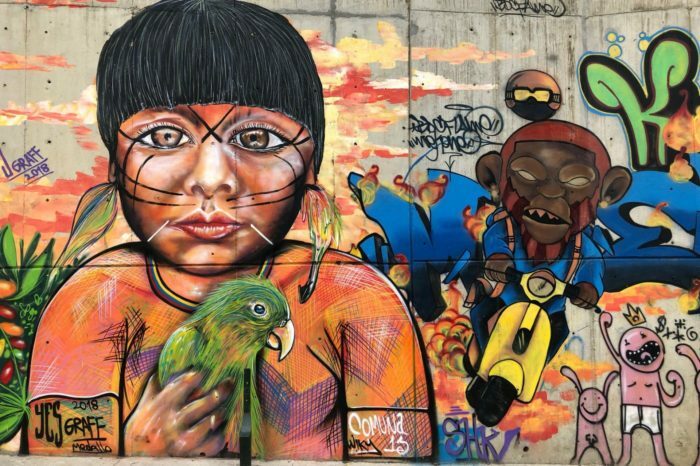 Also, we invite you to do our Urban Graffiti Tour to the Comuna 13. This particular Comuna used to be one of the most dangerous neighborhoods. Today, the district has overcome all its problems to become one of the safer areas of the city. Nature is all around. Therefore, the Parque Arví is worth the cable car ride if you have some time and want to breathe. If you have little time and want to have some fresh air you should go to the Botanical Garden. You will love exploring this magnificent city lung. Finally, there are other activities to do such as visiting the aquarium and Parque Explora. These places are great to learn about science and technology and it is suitable for adults and children. 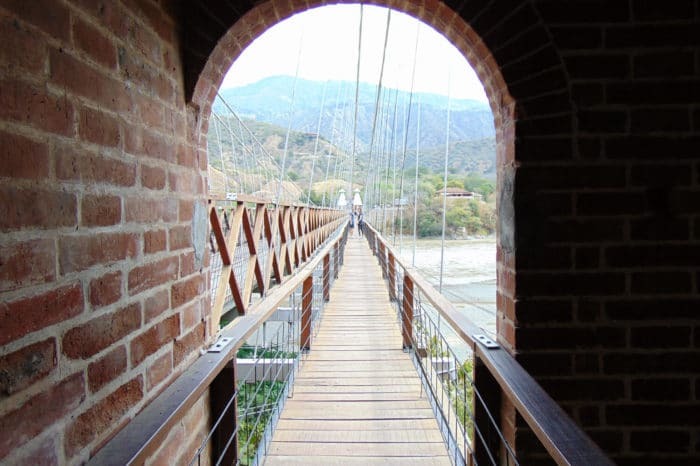 Also, a great place to visit and have a nice view of the city is El Pueblito Paisa. Located in the Cerro Nutibara, it is a charming imitation of a traditional Paisa village. The nightlife in Medellin is rich. Hence, if you are looking for something local you should try the bars and dancing places in “La Setenta“. However, if you are looking for occidental style spots, El Parque Lleras or Barrio Colombia should be appropriated. One of the things you could also do is enjoying a beer or michelada (a local cocktail made with beer, lemon, and salt) in Medellin’s Parques (Envigado or Sabaneta). These places are not necessarily touristy but they will certainly offer a local insight to your trip. Medellin has the best public transportation system of Colombia. Its metro system runs from North to South. It also has a tramway and cable cars to access to remotes part of the city. Paisas are extremely proud of their transportation system. You should not hesitate to use it as your primary mean of transportation. Not only it reduces the traffic and pollution but it is also a faster way to get from a point to another in the city. There are two airports. The Local Airport, Enrique Olaya Herrera, that mostly takes you to towns and villages of Colombia and the International Airport, Jose Maria Cordoba, located in Rionegro, 35 km from Medellin. If you are traveling by bus, two terminals are available depending on your origin and destination. Hence, the Terminal del Sur is for buses coming/going to the South of Colombia and Terminal del Norte for those coming/going North. Should you need a specific transfer or would like to rent a car with a driver, do not hesitate to contact us. The traditional food in Antioquia is “La Bandeja Paisa“. It is a generous amount and variety of food. It includes red beans cooked with pork, white rice, ground meat, chicharron (bacon), fried egg, banana plantain, chorizo, arepa, hogao sauce, black pudding, avocado and lemon. As soon as you are finished with your bandeja, ask for a corn soup “mazamorra” with guava pasta “bocadillo” for dessert. You will not be disappointed. Another typical food you must try is “Arepa“. This gluten-free tortilla made of 100% corn are essentials in Antioquia and some other regions in Colombia. Arepas for Paisas are like bread for Frenchs. Therefore, you will have it for breakfast and/or dinner. There are a lot of different arepas and you should try them all if you can. Arepas made of Manioc, Cheese, Yellow Corn, White Corn… Try them with “quesito” (cheese) or scramble eggs and don’t forget to add butter and salt on it. Yummy. Should you be thirsty and don’t want to drink soda, try guarapo or aguapanela. Also, you can take advantage of a variety of fruits around and taste a freshly squeezed juice (blackberry, tree tomato, passion fruit, mango, soursop….). Finally, if you want to snack, you should stop at a bakery and try these ones: pan de bono, pan de queso, pan de yuca, empanadas or palitos de queso. Guava Pasta. Coffee. Botero’s Art. A carriel (traditional leather shoulder bag). A poncho or sombrero Paisa (hat).